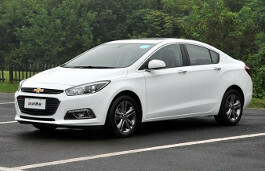 Correct Wheel Sizes, PCD, Offset, Rims and Tire specs for Chevrolet Cruze series. 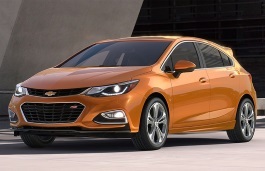 Will Chevy Sonic 15" fit for Chevrolet Cruze? 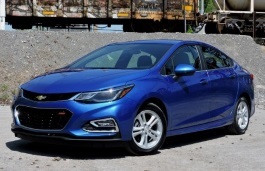 I've been told that the 15" steel wheels from a Chevy Sonic will fit the Cruze without any problems. Any truth to that claim? My reason for asking is that I have some 15" snow tires I would like to use if I could. Is bolt pattern 115 will fit on chevy cruze? Hello Phil. PCD 5x105 on chevy cruze. So your question is whether or not 115 is the same number as 105? Am I getting your question correct? I thought I better be clear before I answer your question. I would like to transfer all 15" rims from 2003 Honda CRV fit to 2012 Chevrolet Cruzer with 16" rims, and vice versa. Will it fit and not have any problems after CRV has 16" rims from Cruzer and Cruzer fitted with 15" rims from CRV. Thank you for valuable support. 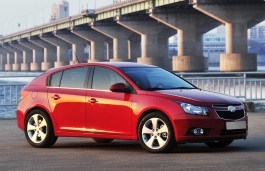 hi, i would like to check if 08 chevy epica pcd can it be fit to 10 chevy cruze. will there be any problem? HI,Darrel.Yes,These two PCD are same. Hi, It depends on the PCD of your kudo wheels.I f the PCD is105mm it is OK. Please, advise me urgently !!! I must change the wheels and tyres in my Opel Insignia 2.0CDTI Innovation, using the smallest tyres 2015-60 R16. I couldn't find the appropriate rims for my car, so I wanna know which rims of another car model fits exactly in my Insignia? Thank you ! Will increasing the wheel size from 16" to 18" affect the TCS on a Chevy Cruz LS? Hi,Ritchie,TCS was affected by clutch and road condition.Change to Big size wheels will not affect TCS.Big size rims increase the car body averagly. I have a 2012 chevy Cruze LT RS and I am receiving a set of rims from a 2014 Chevy Impala LT I know the PCD is different and CB is as well. Would an adapter help this situation or should I just sell the rims I receive? Hi.Mel,If the cb are not different,Adapter may be work,But if pcd are different,I does not recommand you to use any adapter,It is not safe. 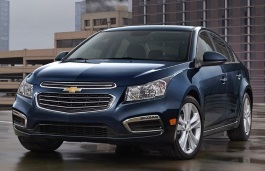 I have a 2012 Chevy Cruze LTZ RS. Want to sell the stock rims. What other years will they fit? my friend has a set of winter tires off her 2014 ford focus that are 215/55/16 bolt pattern is 5x108, would they fit on my 2013 chevy cruze? Hi,sara,for the tire,it is ok.but for the wheels,it is not. I have a set of 5 Double Spoke. Have a set of 215/60/17 winter tires from a previous car. I'd like to run them out on my 2012 cruze. What do you think? Hi, jmike,no,it can not fit for.Try195/60/17. Have 4 blizzard 215 60r 16 2 months use with 5 bolt pattern for 2013 Chevy Cruze for sale,what other cars can use them. I currently have tires size 215/60R16 on my 2014 Chevy Cruze LT. I was given a almost new set of tires 205/50R17. Will these fit on my car? Hi,Serge,The oem wheel size for 2014 cruze is 16'',So i suggest that you'd better use 16'' rims.if for 15'',195/65/15 is ok. 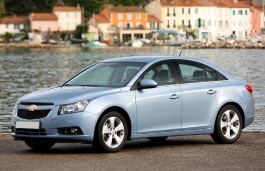 The centre bore on Cruze Diesel wheels is 70.3. It uses the same wheel as the Buick Verano because it has the same brakes and hubs. Thank you. It has been corrected. will a 215/60R17 snow tire fit a 2015 chev sonic regular tire size 20550R17? The year of the chev sonic should be 2014. Hello, I have a 2011 Chevrolet Cruze LS, and I have a few fitment questions. 1) I am trying to put some 90s Corvette rims on the Cruze and the rims are staggered. 8.5 in the front, 9.5 wide in the back. Will that be a problem? Hi,Tracey,Can you show me the bolt pattern for the universal rims?it that same with cruze wheels? Hi,Travis,Can you show wheel size of the ltz wheels? Need to know will 205/55/r16 winter tires from a 2010 cobalt fit on to 2016 chevy cruze.what size winter rims do I need .thank you. Selling a set of stock rims from a 2012 Chevy Cruze. 5 double spoke. Changed out rims just after we bought it new in 2012. They've been in storage. 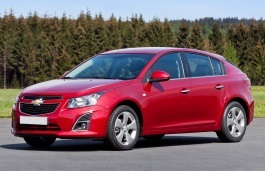 I want to know 235 45r 17 is fitted to Chevrolet Cruze 2014 with alloy ? Hi,Manish,Can you show me your current tire size and wheel size?I can help you confirm that. 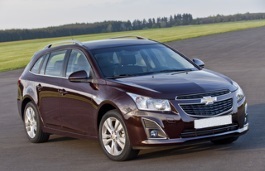 Can you let me know what PCB I have on a chevrolet cruze 2014(bought in UK) 1.7 VCDI 131HP, because i can't find anywhere this information. It could be PCB 5x115? What are the specs on the rear wheel studs? And is there a match on any other vehicle that i coukd just go abd buy instead of waiting in chevy to order them? Hi,Joe,Both 17/18 inch wheels can fit for your car.You must make sure they have same bolt pattern and similar offset. Will 16" rims fit on a 2016 Chevy Cruze new body style ? will winter tires 205 /65 R16/99 fit on my Cruze 2016 LT ? I have also rims from my Camry 2012. Thanks ! Hi,Tony,According to the tire calculator result,It is not compatible. Hi! 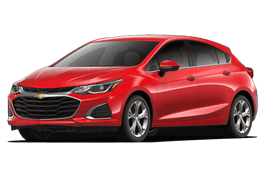 Will my arims from my 2014 cruz fit on the new style 2016 cruze? hello,I need spare WHEEL ALLOY(Rim) for my CHEVROLET CRUZE LTZ VCDI 4 DOOR SALOON 1998cc (2012) DIESEL UK. Tyre size is (225/50 R 17). what would you recommend. I have no idea when we buy it what i need to keep in my mind. please help me. What is the bolt pattern for a Chevy cruze 2016... they are R16. Have rims 5x110 seeing if they fit. I have a 2016 chevy cruze that currently have stock tires size 215 60R16. I am looking to purchase winter tires size 225 60/R16. Will this fit? Hi,Dan Petruk,No,215/60/16 is not compatible for your car. Hi, Shawn McInnis,yes,the tire is compatible. I just bought a cruze with 5x105 wheels. Can I use my winter Saab 5x110 rims? I have my mom's Chevy tracker studded tires then are 195/60r15. I they work with a 2014 Cruz? Hi,Rob,The stock rims size for cruz is 16/17''.I think 15'' is too small.But if you truelly want to use,the 15'' tire is compatible. 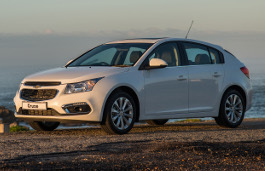 BI have a 2012 Chevy Cruz , will tires and rims from a ford fucus fit my Cruz? Hey I'm wondering since my 2015 sonic has 5x105 lug pattern will it fit 5x100 or will I have to buy adapters? I have a cruze diesel 2015 usdm. bolt pattern 5X115 17 inch 44 offset 70.2 centre bore.I purchased canadian tire 17 inch 5X114.3 winter rims as they said they would fit. I went to GM dealer and they said they fit and are safe to use. This was done physically on the car. Could you explain how this is possible when 5X115 is not the same as 5X114.3. Love your site and is very easy to navigate and a huge amount of information. Hi,Ralph,For Bolt pattern,5*115 eq to 5*114.3,as their error is very small,just 0.6mm. hi is 215/70R/16 CAN FIT IN CHEVY CRUZE LS 2012 ? Hi,Vik,No,These two tires are not compatible. i cant find the information anywhere on the car . it is a used new car. Hi,ephraim tshukudu,The tire pressure is 2.4,You can find detail in the above of this page. Hi I was wondering if General tire Altimax Arctic 215/55/R16 on 5×105 rims will fit on my 2016 Chevy Sonic Turbo? Hi, Will a 20" rim with a bolt pattern of 5x114.3 fit on a 2014 cruze with a standard 5x115 bolt pattern? Hi,Brett,You'd better use same 5*115 bolt pattern wheels. I have a 2014 cruze diesel with the 5x115 lug pattern. I also have a 2005 mustang gt. The mustang 5x114.3 wheels bolt up perfectly. I was the first person to ever run 275/35/18s on a cruze. Fit beautifully with a 1/4" spacer. Only rubbed at full lock when hitting a dip or when hitting a dip in the road. And only a little. Never left marks in my wheel well shroud. I have a 2016 chev. 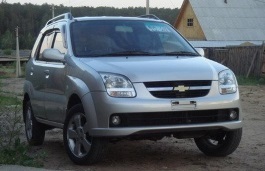 Trax AWD 105 bolt pattern, what rims from other vehicles will fit this vehicle? I have a 2014 Cruze LS which I would like to get a set of machined 18x7.5 from the 2018 premier. Do these cars contain the same bolt pattern and will fit a older car like mine? Just bought a 2018 cruze lt, have new rims & winter tires bought new last year, Goodyear Nordic 215/60/16, can I get away with using them on this new car? Hi,S.what the current tire of you 2018 cruze,I can help you confirm it. hi,S.,No,these two tire size are not compatible.try to find other size. Hi Chevy people. I understand the main bolt pattern is 105 but is there any deviation? 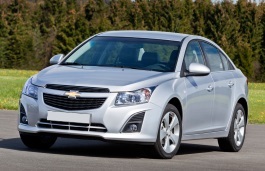 I have Chevrolet Cruze 2014 Eco. Can I use 215/60R17 Winter tires. I have a 2016 Chevy Cruze with 215/60/16 all seasons on it. I have a set of 215/55/16 snow tires which I want to install. Any concerns? Hi,George,No,these two tires are not compatible. My 2017 Cruze Hatchback currently has 225/40/R18 tires. I will be getting 16 wheels for snow tires. 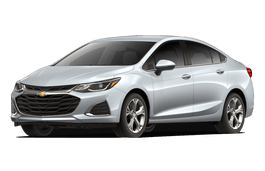 How tall (diameter) of a tire will the cruze accommodate? Thank you. Hi, Larry,For 2006 chev cobalt 16inch,the bolt pattern is 4*100,but for 2015 chev cruze,it is 5*105/5*115.So it can't fit for.